Do you have an irrigation system? Did you know that the City of Goldsboro code requires all homes with irrigation systems to have a backflow preventer? And did you also know you are required to have them tested and certified annually? And if you don’t, your water service can be turned off? 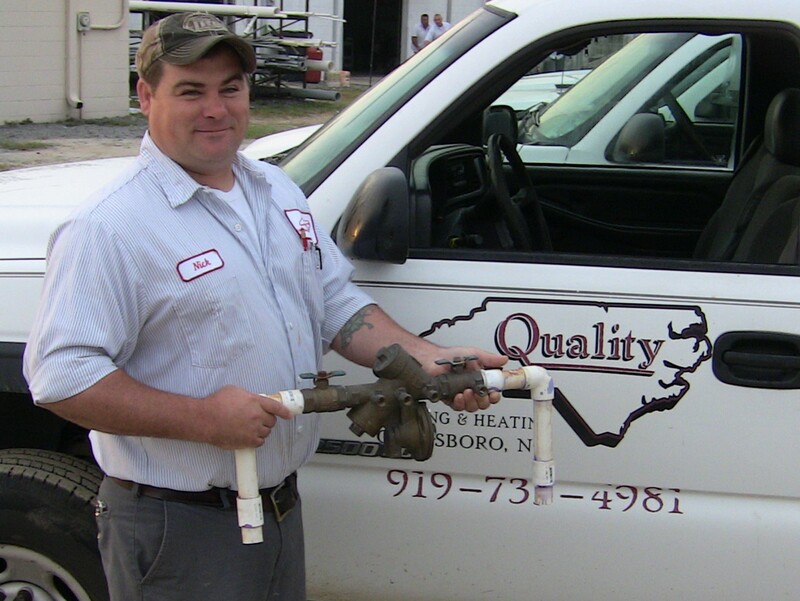 Quality Plumbing has all of the licensing needed to provide you with a backflow preventer certification. CLICK TO CALL QUALITY NOW!